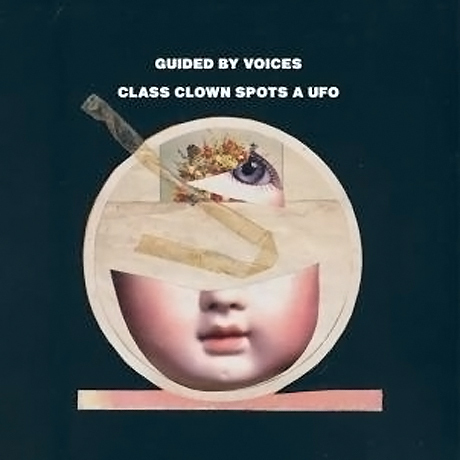 Prolific lo-fi popsters Guided By Voices have been on a spree of late, having released their Let's Go Eat the Factory LP and the "Keep It In Motion" single earlier this year, but there's way more in store for fans from Robert Pollard and co. As previously reported, the group are dropping a second LP in 2012 called Class Clown Spots a UFO, whose release details have now been revealed. Plus, there's a third GBV LP to look forward to as well. A proper tracklisting has yet been revealed, but a press release confirms that Fire Records will deliver the 21-song Class Clown Spots a UFO on June 12. Included on the 40-minute affair is the previously released "Keep It in Motion," the supposedly sombre chamber pop number "They and Them" and the title track, described in the press sheet as "a ridiculously catchy, melodically complex, shot-through-with-melancholia song that serves as a sadder and wiser riposte to XTC's 'Making Plans for Nigel' as performed by the Hollies." Prior to the album's release, the band will deliver two more seven-inch singles, which serve to promote the set. First up is a mini-platter anchored by album track "Jon the Croc," which arrives this Saturday (April 21) as part of Record Store Day. The title track will be the third vinyl single to arrive from the album, and it hits store May 15. If you were hoping for even more music from Guided By Voices this year, you're in luck. The band are apparently already working on their third album of 2012, and it will be called Bears for Lunch. Little has been revealed about the set thus far, but it should arrive in November.